The Sacramento Sheriff K9 Association is a Non-Profit tax-exempt public charity recognized under 501 (c)(3) of the Internal Revenue Code. All donations are tax deductible (Tax ID #20-3318879). Support the “Sacramento Sheriff Canine Association” by shopping at: smile.amazon.com today! Amazon will donate 0.5% of the price of your eligible AmazonSmile purchases to the SSDK9. AmazonSmile is the same Amazon you know. Same products, same prices, same services. 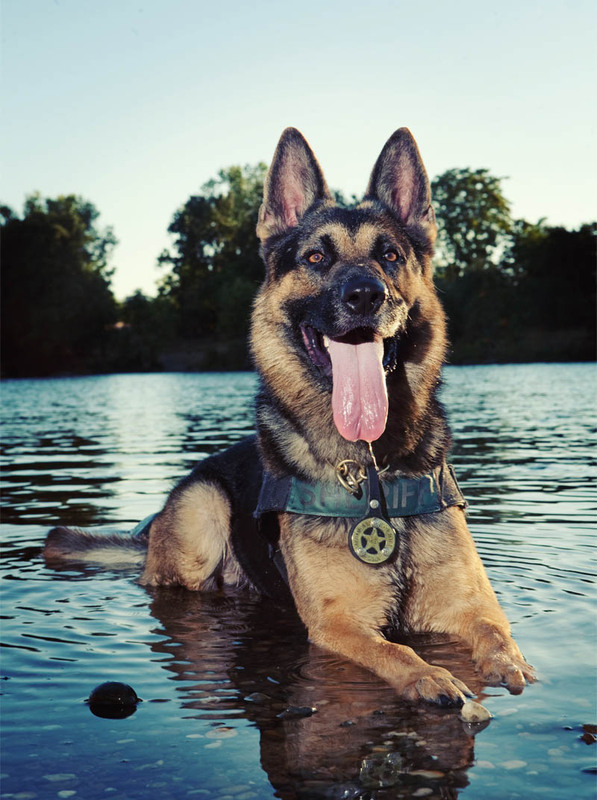 The Sacramento Sheriff K9 Association was originally founded to assist with purchasing canines for the unit when the handlers had to purchase the dogs themselves. Today, the department has the means to take care of this, so these donations can be used in many other ways to benefit the dogs and our team as a whole. Because we respect and care for our canine partners, we are dedicated to supporting them throughout their career and retirement. The SSD Purchase of specialized protective equipment for the canine. This equipment may include but not be limited to ballistic vests, paw protection, cooling equipment, reflective equipment, lighting, and lifting harnesses. Specialized canine training schools. Under our current deployment model our canines not only search off lead for suspects, but are capable of on lead searches and tracking. The tracking function allows us to search for missing children, missing adults and injured persons under the right conditions. We are always attempting to hone and improve our canine’s skills and the county is not currently able to fund all the available training schools. Medical bills for retired canines. While the county does contribute some money toward retired canine’s medical expenses, we all know treatment can be expensive. Due to the nature of the job such as climbing fences and physical confrontations with suspects, retired canines often suffer serious medical issues such as chronic hip, bone and arthritis problems. Your donations help supplement their much needed care. The association also helps cover burial costs for canine’s that pass away.